Few culinary tasks are as intimidating as butchering a chicken. One might think to begin with the legs or perhaps the wings, but then what? No wonder so many people buy the frozen prepackaged parts, even though it leaves them perpetually forced to choose between light and dark meat. You can give it your best guess, and end up with a bird that looks like an extra from Friday the 13th … or you can enlist the help of a pro. Celebrity Chef Tyler Florence has teamed up with Grokker, an on-demand video network (they have workouts, yoga, meditation, plus, of course, cooking! ), to show you how. 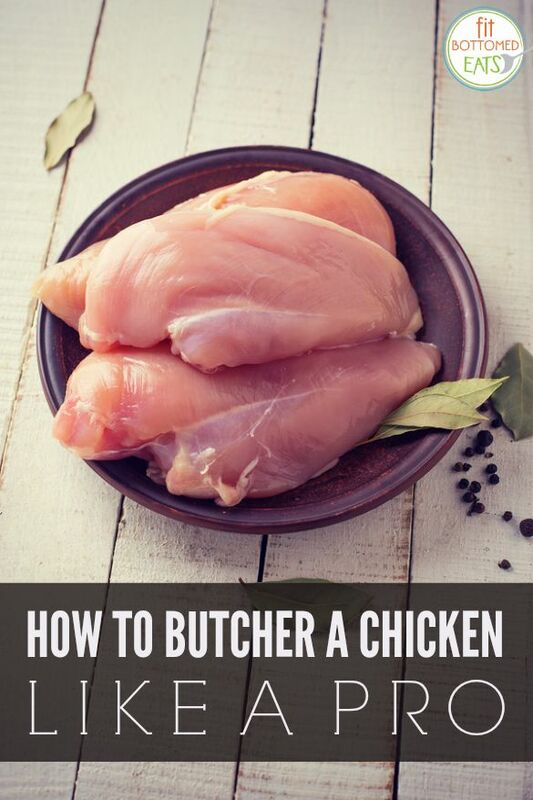 Check out his easy “follow the dotted line” method and learn to butcher a chicken like a pro! Cool added bonus for Eats readers — if you dig this video and want to play around a little more with Grokker, we’ve got a promo code that’ll give you a month free! Just enter LOVEGROKKER in the promo code field. Sweet, right? Whole birds are usually less expensive then the packaged parts, but the biggest savings comes from the carcass. Save those rib bones (just toss ‘em in a freezer bag) and when you have a few saved up, make your own bone broth. Simply cover the bones with cold water; add chopped up celery, onion and carrots (or whatever you’ve got) bring to a boil and let simmer for three to four hours. Strain out the veggies when cool — that’s it! Your bone broth is now ready to sip, soup or save. Use your broth in any recipe that calls for chicken stock, bouillon or in place of water. Freeze in quart baggies or ice cube trays for portion control.